Editing and uploading FlexLM license files onto the license server machine, followed by an invocation of a license server ‘re-read’ or ‘restart’ action. These capabilities have been proven useful in environments of restricted access, where OpenLM users are separated from license administration capabilities. EasyAdmin users can configure the OpenLM Server to issue a file fetching request to the OpenLM Broker. The OpenLM Broker will respond with the required text file content, and the EasyAdmin web application will enable downloading it onto the local web-browser machine. See the image below for clarification. Changing one of the fields; “File fetching URL” configuration or physical location (“Download directory”) will require a respective change in the other field. These fields are interconnected. When using the IIS web server, the linkage between the URL line and the physical directory is done explicitly. After clicking the ‘Download’ button, the user will be presented with the download URL, and will be prompted to download the file to a physical location. This is presented in the image below. 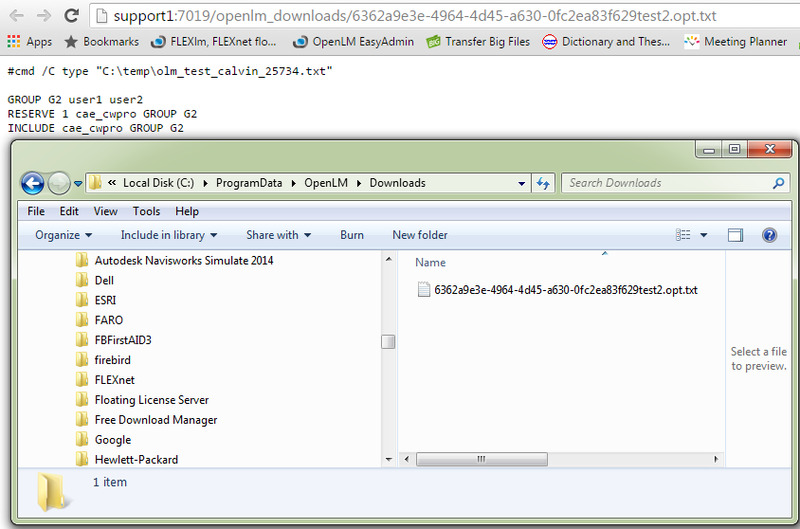 As mentioned above, OpenLM enables administrators to edit and override FlexLM license files onto the remote FlexLM license server machine. In this configuration, the OpenLM Server will upload the required file through its communication channel with the Broker to the license server machine. 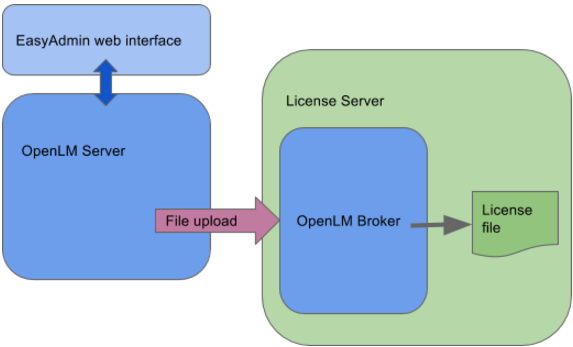 The OpenLM Broker will override the existing license file with the new edition, and invoke either a license server ‘Restart’ or ‘Re-Read’ action, for the change to take effect. Please refer to the image below for clarification. 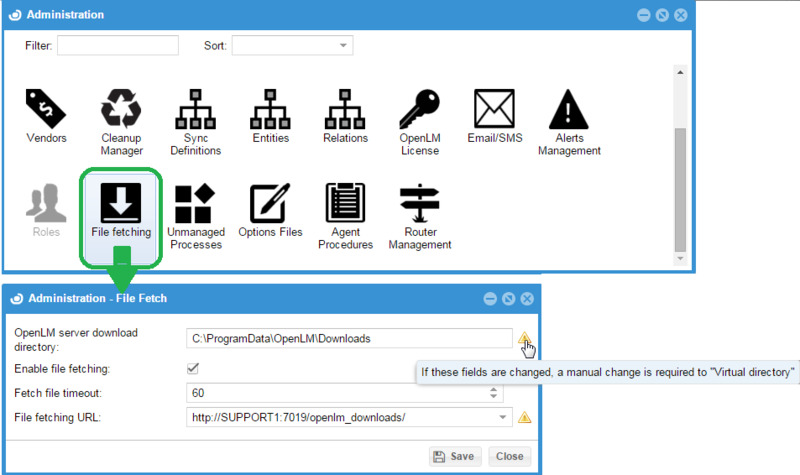 The Start → Widgets → “License servers” window displays the files visible by the Openlm Broker. Click the ‘Files’ hyperlink, to present the “Files on Server” window. Select a specific license file to upload, as shown in the image below. Select whether to invoke a “Re-Read” or ‘Restart’ action on the remote license server. And that’s it – the new license file is on its way to the license server machine. After applying the license file upload and the subsequent re-read or restart actions the license manager will relate to the new license file. The execution of the said re-read or restart actions will be evident in the license manager’s debug log file.